Our turmeric fingers are from Salem known for the most premium quality of turmeric available in India. powder is a vibrant yellowish spice powder made by dry grinding of mature turmeric, cylindrical and rhizomes underground stems. It plays an important role in traditional cultures throughout the Eastern world. 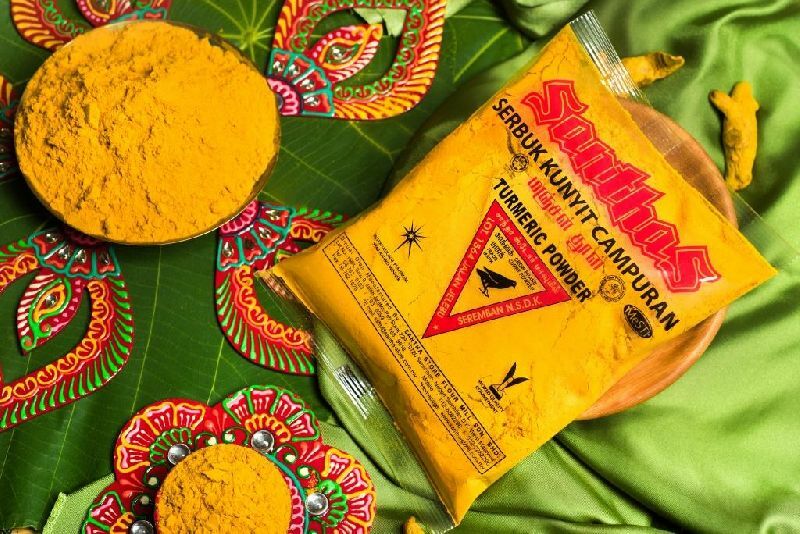 The use of turmeric Authentic Indian Cuisine, Natural food colouring dyeing, cosmetics, Antioxidant Properties, Religious Ceremonies and for medicinal cloth properties has been used in the ancient Vedic culture of India. It is very easy to cook with turmeric powder as it gives a great color to your food. And at the same time you can enjoy a pinch of new taste and turmeric powder benefits to your health! Santhas Turmeric powder is freshly ground and packed with nutrients.